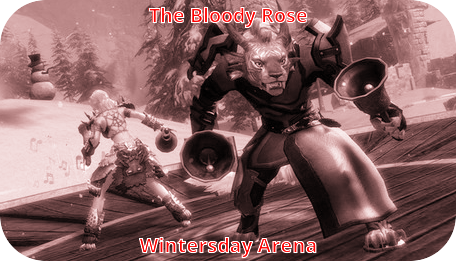 After much training, planning, and preparation, Red Rose Arena [rra] will officially host the first Wintersday Arena Games at the back of the Ossan's tavern! The games will take place on : Saturday, 09/12/2017, at 9PM (Server Time). The Red Rose will be providing drinks and snacks for the event. Watch as two mighty teams of combatants, Team Tarry and Team Thorvald battle it out against a series of monsterous challenges to be crowned the victors of the Bloody Rose! Sponsored by Candles and Embers magical shop. We hope to see you all there to cheer on the competitors! Thanks to all those who came to watch! The Arena was a big success, thanks a lot to the community for their support and interaction especially during the bonus rounds! 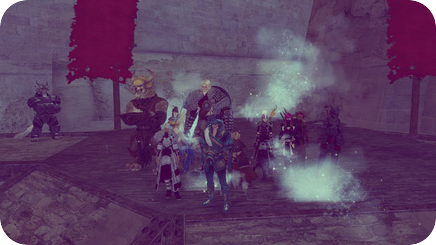 Congratulations to the Norn who conquered the competition in the Bloody Rose Arena, Siegfried from Team Thorvald, a newcomer to the fray was victorious in winning the contest! This despite a glorious victory from Team Tarry in the first round.